Last month, when I wrote a blog on How to use GrapeCity Documents with Azure Functions, I wanted to write another post to dive into Azure Functions in further detail. If, like me, you aren't a big fan of App Service and Service Fabric because of the limitations they bring, Azure Functions will fit in your metaphoric Goldilocks zone. While App Service is stateless, and Service Fabric is stateful, Functions, on the other hand, gives you the freedom of developing both stateless and stateful microservices. This article is an overview of Azure Functions and discusses why you may want to choose Azure Functions as your microservice. App Service and Service Fabric expect tons of configurations resulting in a steep learning curve and decreased productivity. Functions, in comparison, are like an easy switch for quick development. It can be argued that Functions are opiniated to an extent. Due to this, you benefit with faster development. Also, you have complete freedom of architecting your use cases with any third-party dependencies, in almost any major programming language. Although Functions may not provide everything that App Services and Service Fabric can offer, in most cases, they are a more a practical and productive choice. Functions are feature-packed FaaS offerings from Microsoft Azure that enables you to run your code directly on-demand in Azure’s infrastructure. Think of them as a pieces of code that are invoked by triggers, wherein you do not have to worry about the underlying infrastructure. They scale on demand and you pay only for what you get. This frees you from countless design decisions that you would otherwise have to make to write a cost-efficient service. You can choose any programming language of your choice from C#, F#, Node.js, Java, Python, PHP, etc., and bring in dependencies from NPM, NuGet, and Maven. With Function’s small unit of deployment, you can minimize the efforts taken to build and configure your DevOps pipeline. Azure Functions' core concept revolves around piece of code or function. This function, when combined with events and data, gives a complete picture of what Azure Functions should be. Let’s understand about each of these in little detail. 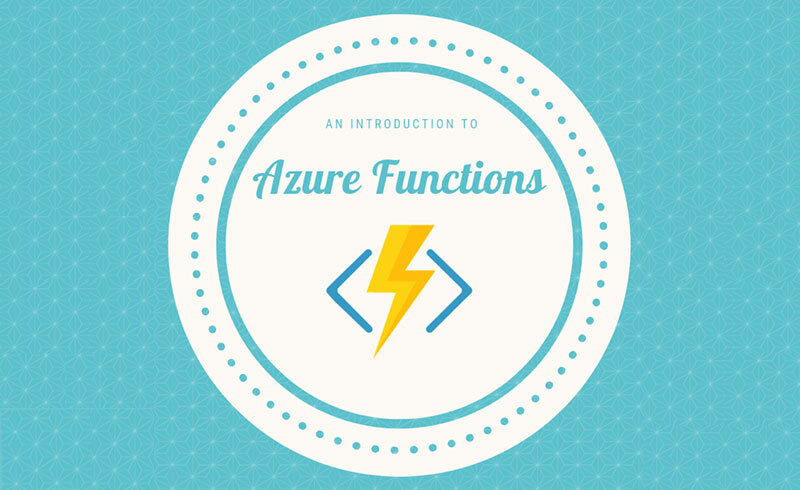 A function is a central concept in Azure Functions. You can write code for a function, in any language of your choice, and save the code and configuration files in the same folder. Azure Functions Runtime reads the configuration file to determine the events to be monitored and how to pass data into and return data from function execution. Triggers are ways to start the execution of your code. A function must always have a single trigger. Triggers have data which becomes the payload that invokes functions. There are multiple triggers available with Azure Functions. The following are several triggers, along with the information on when they trigger. HTTP: Runs when an HTTP endpoint is requested. These functions are simple RESTful HTTP end points. You invoke them like a RESTful web API. These triggers are created when you need some HTTP service without having to recreate underlying infrastructure. A very common example is writing a web proxy over your services. You can use them for application-level load balancing. The following function can reroute your API requests based on a request parameter. Timer: Runs on a regular schedule. Their functions trigger on a predefined schedule. You use CRON expressions to decide schedule duration. Unlike the queue trigger, the timer trigger doesn't retry after a function fails. When a function fails, it isn't called again until the next time on the schedule. A good example can be seen in a walk through below, where we are generating a PDF report on a schedule. Next, obtain “Github secret” and function URL for your Function. In your GitHub repo’s Settings tab, open Webhooks and click on “Add Webhook” to add a new Webhook. Webhooks help you integrate Functions with your service/application which exposes Webhooks to broadcast an event. This type of function can be very helpful in triggering your CI service. 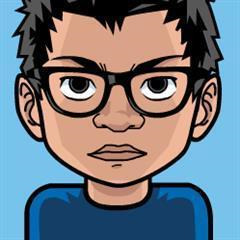 CosmosDb: Runs when data is added or changed in Azure CosmosDb. Bindings are ways to simplify coding for data input and output. Bindings are optional, and a function can have multiple input and output bindings. Azure Functions integrate with most of the Azure services as well as some of the third-party services. These integrations can behave as triggers as well as bindings for your function. Suppose you want to write a new row to the Azure Table storage whenever a new message appears in Azure Queue storage. This scenario can be implemented using an Azure Queue storage trigger and an Azure Table storage output binding. Functions are good solution for integrating systems, process granular data, build small microservices and work with IoTs. To facilitate various types of scenarios, you have numerous triggers. Let’s start with a problem statement: "Send a weekly sales report to all the stakeholders of product X." From this statement, you can identify that you must write some code that would run in a schedule and send a certain report to a recipient. It is important to understand that problem can be solved by a function. It is trivial to write a code that generate some report. However, to schedule them in an order in a reliable way can be tricky. Function uses CRON expression to configure schedules. Web services are usually invoked outside its environment, irrespective of its design and architecture. So, if you are writing a web service you should then have to create some kind of ‘executor’ or ‘invoker’ process. A desktop service on other hand needs a compute instance to run. So, if you do not have an idle or unutilized VM, I think buying a new VM for a single service is an overkill. A Timer Function fits perfectly into out use case, because of the advantage it brings with inbuilt schedulers. We will create an Azure Functions app that contains a function which would generate a sales report from a database. You may use Visual Studio or Visual Studio Code to build an Azure Functions Project. Let’s look at both of them. If you do not see the Azure icon, you should install Azure Functions Extensions for VS Code, the link to which is provided above. Click on the Functions folder icon to create a new Functions project. Select C# as your language. Click on Functions icon to create a new function “GenerateScheduleReport”. You should be choosing TimerTriggered template with Anonymous access rights. Write you report generation code in a C# class. Press F5 to build and run you function locally. For Visual Studio, all the steps are identical as above; however, the step to create a Functions project is little different. See the following steps that are different in Visual Studio. Create new project by selecting Visual C#>Cloud>Azure Functions. A dialog box would appear. Select Http trigger template with Anonymous access rights in your “New Project” dialog box. You can also set Storage Account to None, since we are not going to use Azure Storage in this example. Azure provide you two kinds of plans for Functions: App Service Plan and Consumption Plan. Note: With a Consumption Plan you are billed only when your function is executed. The Consumption Plan allocates computation power while your code is running. With this, you are billed only when your function is executed. Your application is scaled out when your function needs additional power and is scaled down when your code is not running. In an App Service Plan, you can scale between tiers to allocate different amount of resources. Your app runs on VMs on Basic, Standard, Premium, and Isolated SKUs. This is also the case in App Service apps. You should be choose the App Service Plan only if your function is running continuously, or if the Consumption Plan has any limitation. In most of the cases, developers tend to choose Consumption Plans. Why should you choose Azure Functions as your microservice? Following are the set of conditions to help you decide if your scenario fits Azure Functions’ capabilities. Platform Lock-In Azure Functions are platforms locked in with Azure. This means, once your app is written and deployed, you cannot move to any other serverless or computing solution. You can always update the code, but a function can be deployed only on Azure Functions. There are some third-party packages like serverless, which allow some degree of platform independence. However, the binding technique is unique to Azure. This may of course change in the future, since Functions are developed in open-source. If choosing Azure is not an issue for you (and it won’t be if you are reading this), Functions is for you. Small unit of deployment Functions are small and deployed singularly. Their design favours you to write a simple method call. You can have a bunch of functions written, and deployed independently as Azure Functions. With an App Service or Service Fabric, their focus is more on deploying a full-scale service. If they are overkill for your scenario, Functions are for you. Zero-Configuration Functions on App Service Plan have some control over the amount of resource you would need. However, for most of the cases, there is hardly any configuration required or control provided for and by Azure to you. Serverless systems are supposed to abstract the infrastructure. You cannot maintain a service pool since only one would be provided to you. If these are things that don’t seem necessary to you, you just want to run your code, Functions are for you. Gentle learning Curve For most of us, learning new technology comes with the profession. Most of us don’t dread it. But for the sake of productivity, learning new technology creates unnecessary overhead in a software lifecycle which can also be avoided. Functions don’t require learning any new framework or design patterns. If you can write a method in any of the language it supports, you can write Functions. Reuse dependencies from NuGet, Maven, NPM You can bring your dependencies from your favourite package managers. Depending on the technology you have selected, you can choose among NuGet, Maven, Pip, NPM, and many more. Choosing Azure Functions can be the best (or worst) design decision you have taken, depending on your use case. Most of the time, Functions can allow you write quickly, without the overhead of customization and configurations. You can easily integrate multiple Azure or third-party services with an unprecedented degree of ease. With so many SaaS vendors and providers moving towards a more decoupled and independent architecture, Functions are becoming more relevant for you every day.